If you’re a foodie or love the chance to try the most contemporary and finest flavours, then seeking out the Michelin starred restaurants nearby when you’re on holiday is always a great idea. The UK is packed with fantastic, luxury restaurants and there are wonderful fine dining establishments in both the Lake District and Yorkshire. Whether you enjoy a cottage holiday in Keswick or Whitby, you’re never far from the chance to enjoy fantastic, contemporary and imaginative food. Here we’re looking at just six restaurants offering star quality dining. The Black Swan is proud of its status as the only restaurant in Yorkshire to have both a Michelin Star and 4 AA rosettes. Head Chef Tommy Banks is well-known for his appearance and winning dish on The Great British Menu and the Black Swan is a local restaurant with a commitment to homegrown ingredients and locally farmed goods. Their own farm allows them to provide the freshest vegetables, herbs and spices and the family has lived in the local area for generations, giving the Black Swan a distinctly Oldstead atmosphere. Tradition is teamed with contemporary dining trends and modern food which looks effortlessly put together but tastes wonderfully complex. Head Chef Frances Atkins has proudly held a Michelin Star at The Yorke Arms since 2003 and the quality never waves when you visit this exceptional restaurant. Formal but friendly, you can enjoy British classics with subtle yet enticing Continental twists. Local is a must and you can expect both classics and unique and original dishes sitting side by side and working together beautifully. The only Michelin Star restaurant in the whole of East Yorkshire, The Pipe and Glass Inn in Beverley is a destination pub with exceptional quality Yorkshire fare taken to the next level. It’s a family restaurant which has held its star since 2010 and it sits snugly on the site of the original 15th century gatehouse to Dalton Park in the Yorkshire Wolds. The country pub décor doesn’t equal country pub food as wonderful Yorkshire flavours are shown off in a luxurious new way. The flagship restaurant from Simon Rogan, L’Enclume offers a country house restaurant feel with exceptional levels of service and food. Scenic and beautiful, L’Enclume is in Grange over Sands and has Two Michelin Stars and Five AA Rosettes. Original and creative inventions sit alongside more traditional meals and it is considered one of the most exciting restaurants in the whole of the UK, with a perfect 10 out of 10 score from the Good Food Guide. Tasting menus give you the chance to sample many examples of Chef Rogan’s genius. One of two new Lake District Michelin Starred establishments, Forest Side has only been open since the beginning of 2016 but it is already recognised as one of the best restaurants around. Head Chef Kevin Tickle it as the helm of this fairy-tale style mansion and with beautiful gothic surrounds you can enjoy some of the finest food in the region. Menus are inspired by Forest Side’s own walled garden and the wider local area. 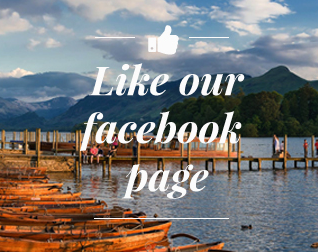 The Gilpin Hotel and Lake House is perfectly located in Windermere and dining at the Gilpin now involves enjoying the beautiful flavours of Cumbria mixed with a twist of Asia. Head chef Hrishikesh Desai has received his first Michelin Star in 2016 and the food he produces combines exceptional quality ingredients in new and creative ways. New menus at the Gilpin and the restaurant now known as Hrishi, bring together Desai’s childhood memories of food and the best local produce.